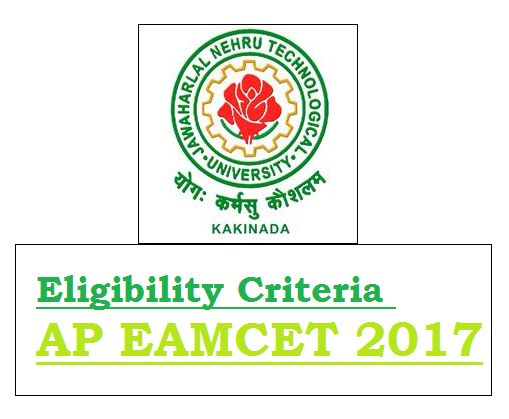 AP EAMCET stands for Andhra Pradesh Engineering, Agriculture and Medical Common Entrance Test which will be conducted by Jawaharlal Nehru Technological University, Kakinada. The main aim of the University is to provide the advance teaching and learning to get the knowledge in the field of Engineering and Technology, Social Science and Physical, research and experimental training. AP EAMCET is an entrance exam arranged by the University for these Field of education and it will be organized every year by the University to give admission for the applicants. The University has released the application form in February and it will be available on the website until the end of the March so applicants can make use of the official website to fill the form for attending the examinations. One of the most important things is that candidates must look into the eligibility criteria before applying for the examinations. 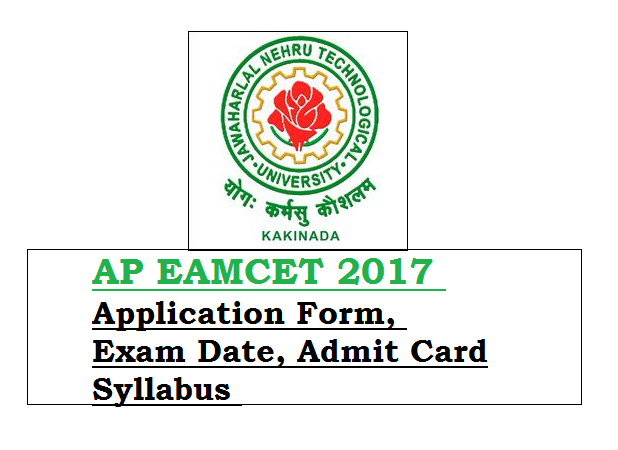 AP EAMCET notification will be displayed by Jawaharlal Nehru Technological University, Kakinada. The University has released the notification to conduct the entrance exam in February so candidates who completed 12th can apply for the AP EAMCET 2018 for providing admission to Medical and Engineering colleges before the last date. The University released the notification recently for the extension of the admission form till March. The official website contains notification, eligibility criteria, exam dates, and a mock test so candidates can make use of it for preparing the exams. The website had now released the exam dates approximately but the exact exam dates will be released soon by the University. The approximate exam dates are released because the candidates will get ready at the time of registration and notification to attend the exams and to start the preparation. Candidates must check AP EAMCET exam date 2018 for exact exam dates for appearing entrance exam on time. AP EAMCET 2018 now released the eligibility criteria which contain minimum age to apply, educational qualification, maximum percentage to get admission in Engineering, medical and agriculture colleges. Candidates can have a look at the eligibility criteria before applying for the examinations and the applicants must be the citizen of India or overseas citizen of India. Candidates must be only Indian Citizen, Persons of Indian Origin or Overseas Citizen of India. Candidates must belong to the state of Telangana or Andhra Pradesh. Applicant should have pass marks in the 12th or equivalent exam with Physics, Chemistry and Mathematics subjects with 45% marks. Candidates must have completed 17 years of age for Pharm-D course and for agriculture. Candidates must have a maximum age limit of 22 years for general and 25 years for SC and ST candidates for all the courses. The exam pattern for AP EAMCET 2018 gives more details about the total number of questions, sectional division, weight, marking scheme, nature of questions etc. The exam pattern will be helpful for the candidates to understand the level and type of questions as well as allotted time to attend the exam. Candidates can check the exam pattern of AP EAMCET 2018 on the official website. The question paper will come in the OMR pattern booklet and the questions consist of total 160 multiple option questions. The question paper will come in three sections such as Physics, Chemistry, and Mathematics with 40 question each but extra 40 question for only Mathematics. For the right answer, one mark will be awarded in all the three sections but there are also negative marks for each wrong answer. The total time allotted to attempt is 180 minutes for the test. The question booklet contains some instructions about the AP EAMCET 2018 such as the exam will be conducted offline so examinees must bring pen but need to use only black or blue ball point pen in the answer to darken the suitable circle. Candidates must eliminate the darkening in the circle in half, light or heavy and do not use any other colored ball point pen on the answer sheet. Must avoid using the pencil if anyone uses the pencil to answer then it is considered as invalid. Candidates check the complete syllabus soon for Medical and Engineering stream which is available on the website of the University. Students can download the syllabus and exam pattern given on the website for future reference and for preparation. You can also bookmark the page for latest updates regarding the AP EAMCET Exam 2018 syllabus and exam pattern. Students can get all state competitive exams, entrance exam syllabus on the site and the previous year question paper is also available on the website. This syllabus and previous year question paper may help you to prepare for the exams so check the provided papers to perform well in the examinations. AP EAMCET syllabus plays an important role in the preparation of Engineering and Medical common Entrance exam 2018 because there is lots of competition to appear in the examination for selecting to pursue their higher degree in the state of Andhra Pradesh. Students can know the complete syllabus and by knowing the topics covered in the exam will help you to manage the time and score. The syllabus is essential to make the proper preparation plan to crack the entrance exam so the University has provided the direct link to download the AP EAMCET 2018 syllabus in PDF form to make use of this opportunity. Take the printout of it because of it necessary in future. The answer key for AP EAMCET Exam 2018 will be announced within one week after the completion of the examination. It will be released through online mode but it comes in the set format according to the exam. Students can check their answer and able to predict their marks before the result declaration with the use of answer key. Candidates can download the answer key after the completion of the exam. Keep the printout and check the answer. Candidates who are successfully completed their examination should refer the official portal of the University for the declaration of result and also download the merit list. Candidates who score good marks in the written test are eligible for the next round of the selection process. The cutoff marks are the minimum qualifying marks in the examination so the ranks will be given on the cut off mark list. The examination result for AP EAMCET 2018 will be declared after the completion of the evaluation so candidates can look for the examination results soon on the official website. The rank card 2018 will be provided through online mode and it is required at the time of document verification and also used in counseling. Candidates check the official website of University from the fourth week of May 2018 to see the rank card and then you can register for the counseling process in the month of June 2018. Download the result and take the hard copy of it.